In a significant win for human rights, the Court of Appeal in Kenya has upheld a 2015 High Court decision ordering the government to register an LGBTIQ rights group. The court ruled that the Non-Governmental Organisations Coordination Board must officially register the National Gay and Lesbian Human Rights Commission (NGLHRC) as an NGO. On the impact the ruling will have, Njeri said: “The ruling only brings inclusivity and sets a positive precedent for other rights organisations, in Kenya and around Africa”. The NGLHRC has struggled with registration since it was founded in 2012. The NGO Coordination Board rejected its initial request to register in March 2013 on the basis that it was for gay and lesbian people. NGLHRC’s co-founder and former Executive Director, Eric Gitari, challenged the decision by filing a petition, citing Article 36 of the Constitution of Kenya, which protects every Kenyan citizen’s freedom to associate with others. The Court said that under Articles 36 and 27 of the Constitution of Kenya, every person, including gay and lesbian persons, has the right to the freedom of association irrespective of their sexual orientation. The Attorney General, who was named in the original 2013 petition alongside the NGO Coordination Board, accepted the High Court ruling, but the NGO Coordination Board appealed the decision. The board insisted it would not register NGLHRC due to the presence of the words ‘lesbian’ and ‘gay’ in its name, terming these “unacceptable” as Kenya’s penal code “criminalises gay and lesbian intimacy”. Kenya’s Penal Code is a holdover from its colonial era and like many former British colonies retains anti-buggery laws that make vague reference to “carnal knowledge against the order of nature” and “gross indecency.” Under the provisions, these acts are punishable with up to 14 years in prison. 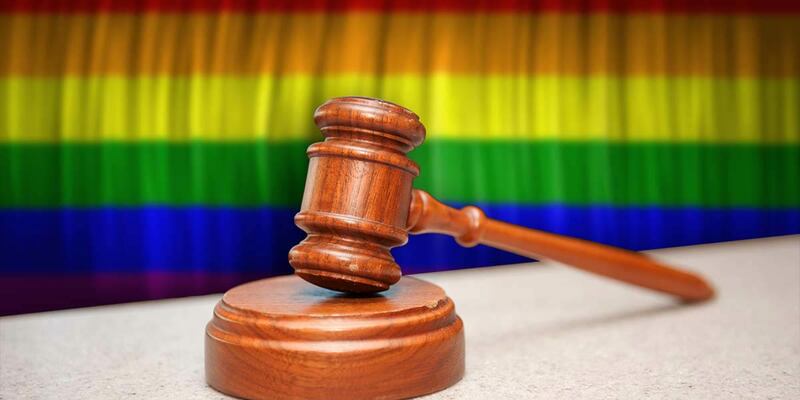 NGLHRC, along with Kenya’s LGBTIQ community, is awaiting a separate highly anticipated decision on decriminalising homosexuality by the High Court in Nairobi. The court had been set to issue its potentially landmark ruling in February but this was postponed to 24 May, apparently due to the judges’ workload.